The vast majority of Westerners would have difficulty pinpointing the location of the Huangpu River, despite having seen it in numerous photographs and its prominence as part of one of Asia’s most famous landscapes: the Shanghai skyline. Flanked by high-rise buildings, the river is the only element that has remained unchanged over the past 20 years, during which time Shanghai has seen the whole city change pace in line with its flurry of construction. 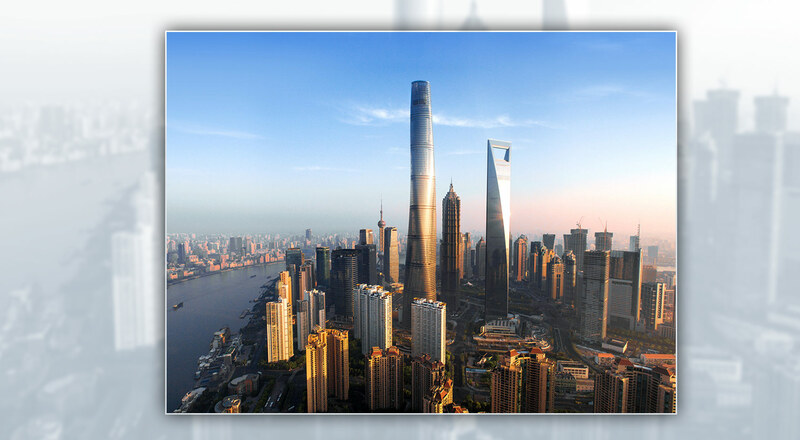 This transformation has now been recognised with an award: the Emporis prize for the best designed skyscraper of 2015, which has been won by the imposing Shanghai Tower. The 632 metre-high skyscraper consisting of 128 floors is the second tallest building in the world, only surpassed by the Burj al Khalifa in Dubai. The Tower is the work of Chinese architect, Jun Xia, and the Gensler studio in San Francisco and was inaugurated last year following an eight-year-long build at a cost of $2.4 billion. The stats, as with all skyscrapers, are staggering. With a total floor space of over 420,000 square metres, it has 106 lifts, which are capable of ascending at a speed of 18 metres per second. Its facade is covered by more than 20,000 glass windows, formed by a double layer that provides privacy without any opaque effect on the glass. It also features five underground levels that can accommodate up to 1,800 vehicles, little wonder when we consider that on an average working day the building can accommodate up to 16,000 people. Looking beyond the impressive numbers, the award comes in recognition of the building’s special twisted design. The shape of the tower is designed to reduce wind impact by 24% and also helps to conduct the rain water collected to deposits where it is recycled for use in the heating and air conditioning systems. The Shanghai Tower is a truly outstanding feat of engineering that has now been recognised with a design award previously won by the Hotel Porta Fira in L’Hospitalet de Llobregat, Calatrava’s Turning Torso in Malmö and Taipei 101 in Taiwan.